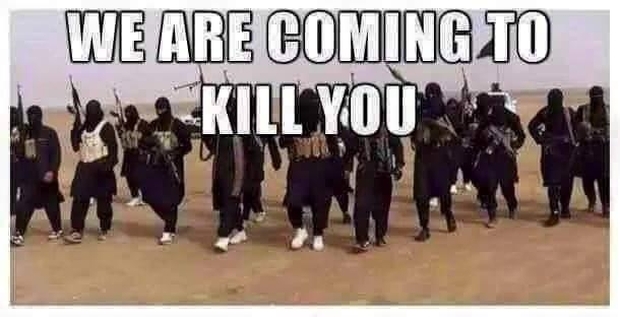 “There is a delicate domestic context that we respect [because they might kill me] which is why I don’t want to say any more about that, but I will remind people Canada is a welcoming country [for jihadists],” he added. Pakistani radical Islamist political party, which was leading a nationwide protest against the acquittal of a Christian woman convicted for blasphemy, late Friday night called off its agitation following an agreement with the government that assured initiation of a legal process to place the woman on the exit control list that will prevent her from flying abroad, officials said. 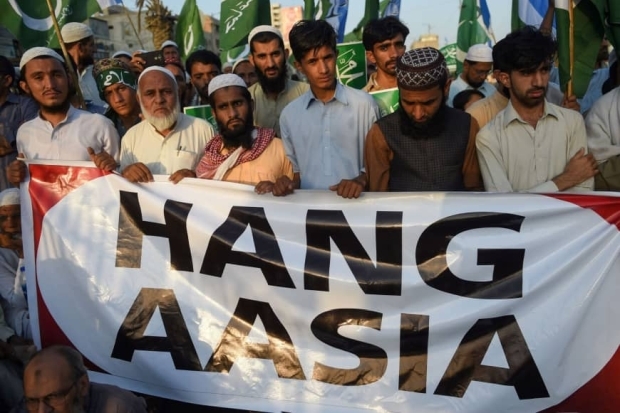 “Hang the infidel” is the cry emanating from thousands of Muslim throats in Pakistan. The reason: Asia Bibi, a Christian woman accused of insulting Islam’s prophet Muhammad, has apparently not suffered enough. As the married mother of five wrote in her smuggled memoirs: “I’ve been locked up, handcuffed and chained, banished from the world and waiting to die” since 2010. The same week that (Humza) Yousaf was extolling the idea that Britain is a proto-Nazi state and Pakistan a potential safe-haven, the Pakistani authorities saw the latest round of the interminable and unforgivable saga of Asia Bibi. This is the woman who has been on death-row in Pakistan for no crime other than the crime of being a Christian. Bibi has been awaiting execution for five years, purely because a neighbour claimed that Bibi had insulted Mohammed during an argument. …While the Conservative party in Westminster is portrayed by these supposed defenders of human rights as some kind of Nazi offshoot, life is, in fact, unequalled in Britain for being good for people of any faith or background. It would be hard to find a society anywhere that has been more tolerant of mass immigration or tried to make life good for the immigrants who arrive, whatever background they are from. Pakistan, on the other hand, is a country which could hardly have a worse record on all of these matters. It is a country where racism and ethnic and religious hatred are rife. People of the “wrong” background, caste, or ethnicity experience infinitely more racism in Pakistan than in any country in Europe. Even people who are the “wrong” type of Muslim, such as Ahmadiyya Muslims, are the subject of constant and routine persecution and bigotry. The persecution of Ahmadiyya Muslims is so rife in Pakistan that this July, it even spilled out onto the streets of Glasgow in the murder of an Ahmadiyyan shopkeeper, Asad Shah. 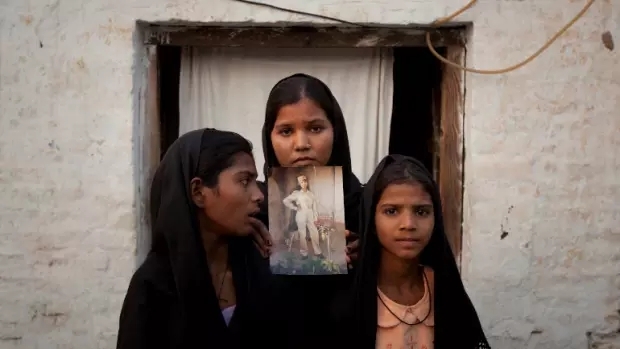 …As it happens, the case of Asia Bibi has now been delayed yet again because the judge has removed himself from the case. He has done so because he knows that if he were to release Asia Bibi, he will himself be assassinated in the manner of the late Punjab governor Salman Taseer. While last week’s hearing was going on, hundreds of riot police had to be deployed outside the courthouse in Islamabad. 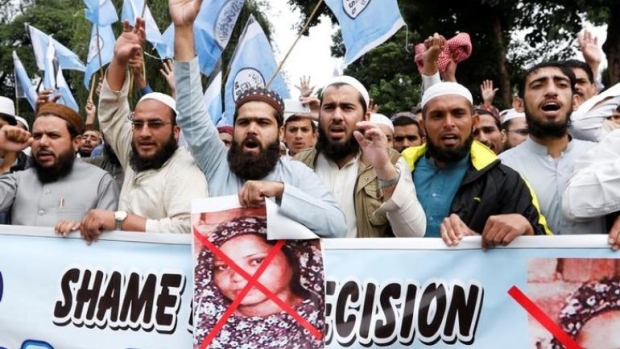 This was because everything about Asia Bibi and her case brings out mobs in Pakistan; thousands of Pakistani nationals have said that if Asia Bibi were ever released, they would kill her. 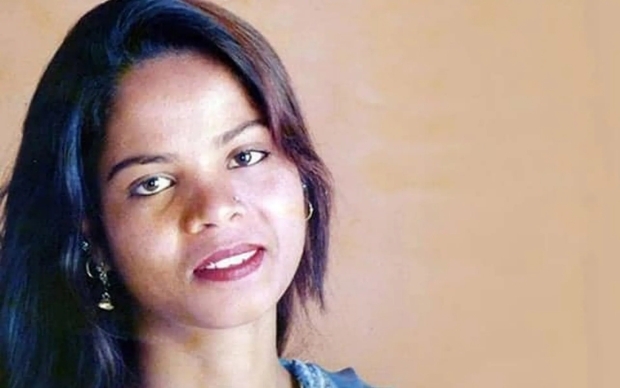 Pakistan’s Supreme Court said Wednesday it would hear an appeal from Aasia Noreen, popularly known as Asia Bibi, a Christian woman sentenced to death for blasphemy. Bibi’s lawyer Saif-ul-Malook said the court had stayed her death sentence until the appeal, Reuters reported. The husband of a Christian Pakistani mother-of-five sentenced to death simply for drinking from a Muslim’s cup has said he fears locals will beat her to death even if she is acquitted. Ashiq Masih gave an emotional interview to MailOnline in which he said his family had been ‘broken’ by the pain of living without his wife Asia Bibi, 50, who has been in prison for five years awaiting a death sentence for blasphemy. Asia is the first woman sentenced to hang under Pakistan’s controversial blasphemy law, but her husband of 22 years still insists she’s been framed and is begging the Supreme Court to acquit her later this month.